Congratulations, you’ve just completed the very first step to getting the body you’ve been dreaming of. Being here you’ve made it clear that you want to get fit and healthy, and that you’re serious about your goals. The great news for you is that we are here to help you. Over the years we have reviewed thousands of products that all claim to be the one to help you shed the pounds, and look and feel better than ever before. We take into account how effective each product is, if there are risks of side effects, and value for money. Out of all of the supplements our team of writers and researchers have cast their expert eye over, these are ones that we know will help you on that journey to your dream body. The manufacturers must be reputable, with details ready to provide proof: In the past we have been unable to find any information on manufacturers, a clear indicator that they aren’t the real thing. For your health and financial safety we will check to see if they are who they say they are if you ever need to contact them. The product must do what the manufacturers say it does: What is the point in spending a lot of money on a product that won’t do what it says? By looking at the ingredients we can determine whether it will offer the result that you want. The ingredients should be safe for consumption and have been tested: We make sure that we list all the ingredients and try to show how much of something is in the product. This is to make sure you are aware of what you are actually taking, some surprises aren’t always good. The product must not produce any side effects: Everything we review must be tested to check that it is safe for consumption and won’t be toxic for your health. Products must have reviews listed to prove whether the product worked for other people: We want to offer you details of real life people taking this product. It is important that you know whom it works for and whom it doesn’t, only then can you judge whether it is right for you. A money back guarantee will be offered to unsatisfied consumers: Any product must come with a guarantee to ensure that you feel protected from a scam and allow you to have confidence in the product. Taking all this into account we make a verdict, we either approve or reject them. It’s as simple as that. All we do is to look at the facts and decide on whether it will be a good choice for you, the consumer, because at the end of the day we don’t want you to try something that could effectively be a waste of your money or cause you to experience side effects. How to choose the best diet pill for your goals? There are a lot of things that you should consider when choosing a diet pill to suit you. What do you actually want to achieve? Do you want something that will cause rapid weight loss, promote muscle growth, detox your body or help suppress those cravings that plague you throughout the day? Not only will choosing the right diet pill help with your goals, but it will eliminate any unwanted side effects that some can cause. By offering you all the information we can find on a product we are giving you the option to decide for yourself whether you think something will work for you personally. We aren’t biased and will only advertise the diet pills that we think are the best out there. What are the types of diet pills and what do they help with? Appetite suppressants: We know that trying to lose weight by cutting down on calories is difficult. You’ll be fine one second and the next you feel like you could kill for a chocolate glazed donut. We’ve all been there at some point. Appetite suppressants will allow you to avoid these cravings by helping you to feel fuller for a longer period of time. It makes life a lot easier and will allow you to reach your weight loss goal quicker. Fat burners: If you want to shed those extra pounds quickly then we suggest using a fat burner based pill. Of course, you have to combine these with a healthy diet and regular exercise for it to work to it’s maximum potential. Fat burners use a process called thermogenesis that increases the rate that fat is broken down. They do contain caffeine as a main ingredient so it is one to be wary of if you like having a peaceful night’s sleep. Metabolism Boosters: These types of pill often make your workouts more effective and allow you to burn any food that you eat quicker than normal. Although these tablets may not make you magically drop the pounds just like that, but they will help in aiding you to not only lose weight, but to also suppress your appetite. Why choose the ones that we approve? 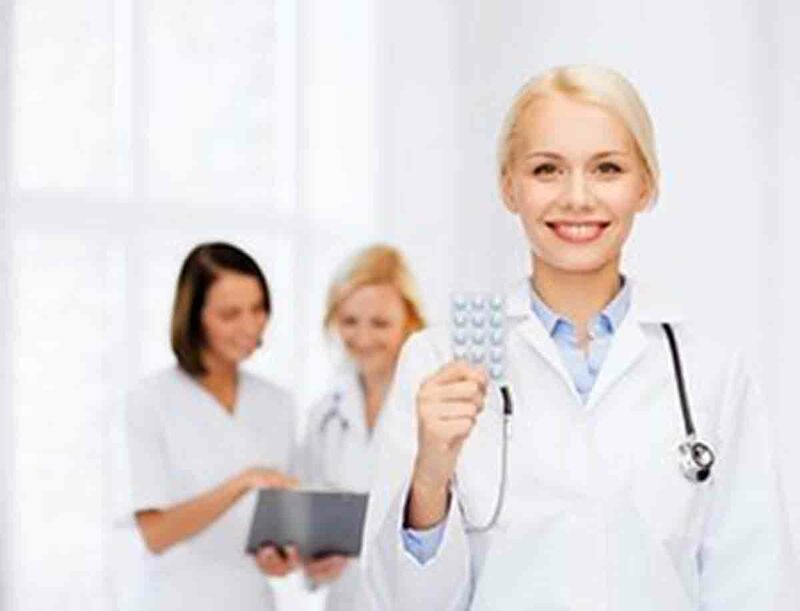 We pride ourselves on offering the best advice and accurate information when it comes to telling you which diet pills are the best. We will only tell you the truth and we won’t publish something that is inaccurate just to make a commission off of the manufacturers. That’s not what we’re here to do. It goes against everything we stand for. While we only have six products in our Approved section we can guarantee that they are the best on the market and worth every penny. They won’t scam you or take your money, they won’t offer you unrealistic results or expectations and they most likely won’t give you any bad side effects, the same cannot be said for new brands that are popping up which may not have been tested as thoroughly. Do weight loss pills actually work? Not all of them. But some over the counter weight loss pills can be excellent tools in helping you to lose weight safely. 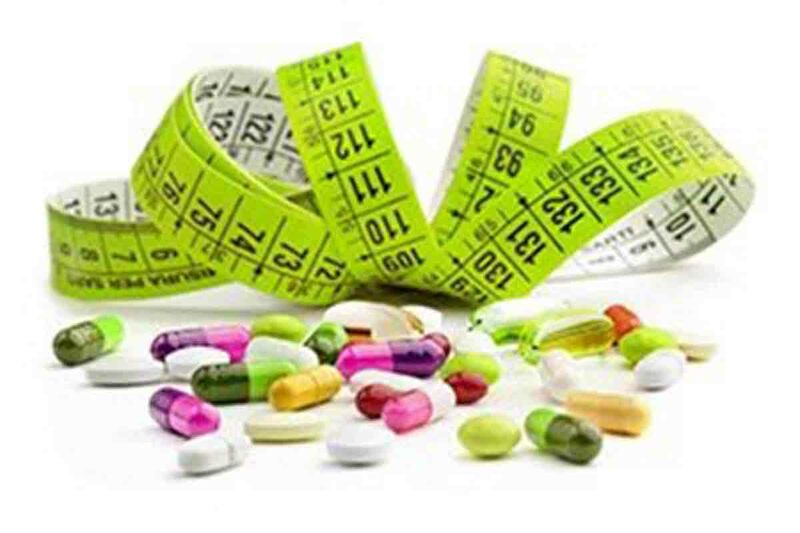 Some supplements contain ingredients which have undergone clinical testing and a good quality weight loss pill should help support your health as you lose weight and make the process easier However, there is no magic wand for safe weight loss. You have to put in some effort yourself and keep your expectations realistic. Any weight loss pill that comes with the claims that it can make you lose excessive amounts of weight in a short period of time is preying on the desire for a quick fix and will not work. What is the safest over the counter diet pill? There are some dangerous diet pills out there but here at the Watchdog we only ever approve supplements that are safe for most people to take. However it is important to check the ingredients list first. We are all different and sometimes even safe ingredients can cause reactions in some people. For example some of our approved supplements contain caffeine so will not suit you if you are sensitive to stimulants. Others may include ingredients that simply do not suit you. To keep safe you should always take the diet pill as recommended by the manufacturer, never exceed the serving size and discontinue use should side effects occur. What is a diet pill? A diet pill is any pill or tablet that you take to help weight loss. A diet pill can be medicinally prescribed by your doctor. It can be a supplement that you buy over the counter. A fat burner for example will increase the speed of the metabolism with the aim of burning off excess fat faster and may contain high levels of stimulants whereas a fat blocker will simply prevent some of the fats that you eat from adding to fat. Alli is an example of a well known OTC fat burner as well as the prescription only version of the same drug called Xenical. However there are a range of diet pills out there that target specific issues such as carb and fat blockers and appetite suppressants. The best slimming pills are those which are effective and that will work with your particular needs. Do diet pills work without exercise? Exercise is very important for general health and all the medical advice nowadays is that we should be more active in our daily lives. Exercise is also important for weight loss. It is not just because we burn off calories while we are active. It is because regular exercise increases the speed of the metabolism and burns fat so helps weight loss for hours after the exercise is over. As a result the effects of a diet pill will be more effective. If you don’t like the idea of organised sport or working out in the gym it is important to remember that an exercise program does not have to be painful. If you usually lead a sedentary lifestyle, you will find that any activity be it walking, dancing, gardening or anything else will improve your fitness levels and the way that your diet pill will work. Take it slowly and build up. Taking exercise is fantastic ?me time? You may even find that once you start, you enjoy it. What are the most popular diet pills? There are literally thousands of diet pills on the market and so called new “miracle ingredients” regularly hit the market. We have seen them all; Garcinia Cambogia, Hoodia, Raspberry Ketones are just some of these so called miracle ingredients and for a while any supplements containing these ingredients will become extremely popular overnight. Unscrupulous sellers and manufacturers know how to manipulate customer feedback and say the right things and customers are usually quick to jump on the bandwagon. However in many cases it does not take long for the claims to be disproven and the products revealed as little better than scams. A currently popular diet pill is not necessarily the best for weight loss. It just highlights what is fashionable at the moment. Here at the Watchdog we are always researching popular diet pills. Sometimes a supplement will become popular as word gets out simply because it is effective but this does not happen overnight. All the diet pills that we add to our approved list are popular but they have been around long enough to have been tried and tested by consumers. In addition our featured diet pills all come with customer protection such as a money back guarantee. Popularity is important. But it is also important not to be swayed by crazy claims of new miracles. In our experience, the supplement that works but does not necessarily promise you the earth is much better than an overnight success. A carb blocker is a diet pill that works by preventing some of the dietary carbs that you eat from adding to fat in your body. If you struggle to restrict your portion sizes of bread, rice or similar you may find that this type of diet pill is very helpful and helps you lose weight more easily. A carb blocker is usually composed of a fibre rich substance such as bean extract. It works by preventing an enzyme in the saliva called Alpha Amalyse from binding to starches. By reducing Alpha Amalyse activity, it means that the carb molecules are too big to be absorbed by your body. When this fails to happen, a proportion of the carbs that you eat are not absorbed by the body but instead leave the body as waste. In addition the fibre rich content can help you feel fuller for longer so help you feel less hungry. One of the best known carb blockers on the market is XLS Medical Carb Blocker. According to their product information the supplement blocks 2/3 of the dietary carbs that you eat. However this can be hard to prove one way or another and unless carbs are your particular weight issue this type of supplement will be too specialised for most people. A fat burner is a popular type of weight loss supplement because it can promise fast results as well as offer you the kick of enhanced energy levels because it always contains stimulants. A fat burner contains ingredients that put the body into a state of thermogenesis. This is a metabolic process where your body burns calories to produce heat and is triggered naturally during exercise or in cold temperature when we shiver to produce heat and stay warm. Some foods also cause thermogenesis such as chilli peppers – as when we perspire after eating hot spicy food. There is also evidence that caffeine, dark chocolate and some of the antioxidants in green tea (catechins) cause this effect temporarily. A diet pill that harnesses this effect is called a fat burner although these days it has also come to mean anything that increases the speed of the metabolism. Increasing the speed of the metabolism is also involved in the thermogenic process but is not strictly the same as burning fat. One of the best fat burner combinations is green tea and caffeine which the Journal of Obesity suggests can increase your metabolism and fat burning by around 11 to 16%. A fat burner is a useful tool for weight loss and if you combine it with exercise and diet it can make a big difference to your results.